This headsets are specialy developed for paramotor and microlight pilots and equiped with a helmet mounting system. With a large scope of adaptercables and accessories it is possible to use this headsets with nearly all radios, mobilephones or intercoms. You need a headset to connect your aviation radio and your HAM-radio together, to be able to talk with the airport and the family? 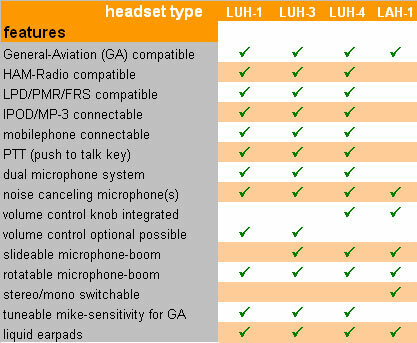 The headsets of or LUH-series are the right choise to make that possible.